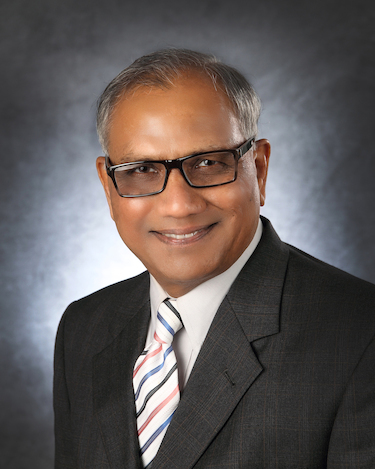 Rajshekhar (Raj) G. Javalgi, Ph.D., joined Walsh University in July 2018. As Dean of the DeVille School of Business, he provides strategic leadership, supports the teaching, research and service efforts of the faculty and represents the School within the broader academic and business communities. He joined Walsh from Cleveland State University, Monte Ahuja College of Business where he served as Associate Dean for Strategic Initiatives and Distinguished Research Professor of Strategy, Marketing and International Business since 2002. His close to 30 years of experience in administrative and higher education encompasses extensive levels of responsibility in strategic planning, student recruitment and retention, internal program reviews, working with leaders within and outside the region, developing and launching innovative interdisciplinary programs, establishing faculty development initiatives, improving research productivity, and fostering collaborative relationships with the business community. In addition, he served as the Director of the Doctor of Business Administration program and the program has gained a national and international reputation under his leadership. He has received various awards including the Gold Medal Award and the National Merit Scholarship Award, in addition to research and teaching awards. Dr. Javalgi taught courses in the areas of International Marketing, Strategic Entrepreneurship, International Business, Multivariate Statistical Methods, and Management of Innovation. He has published over 125 scholarly journal articles, conference papers, and book chapters in the field of international business/marketing, with an emphasis on foreign direct investment, internationalization of services, cross-cultural analysis, organizational innovation, and entrepreneurship. His research has been widely cited by scholars and practitioners alike, and he has been recognized as one of the leading scholars in his field. His articles, some of which have eceived Best Paper of the Year Awards, have appeared in top ranking journals such as the Journal of International Marketing, the Journal of the Academy of Marketing Science, the Journal of World Business, the Journal of Business Ethics, the Journal of Business Research, the Journal of Consumer Research, the Journal of International Management, Entrepreneurship Theory and Practice, International Business Review, and the Thunderbird International Business Review. Dr. Javalgi serves on various editorial boards and is engaged in civic activities. He has had broad experience working with international business professionals and has assisted SMEs in developing international marketing plans, export plans, country analyses, and in cultural issues of doing business in developed and emerging economies. Dr. Javalgi received four consecutive grants, totaling over $800, 000 from the U.S Department of Education Title VI Business International Education (BIE) grants. These funds have been used to develop innovative programs such as international business, entrepreneurship, and doctoral programs in global business. Additionally, he was involved with Professional Development Centers such as the Global Business Center (GBC) and Entrepreneurship and Innovations Centers, which offers a variety of seminars and workshops for the business community, including assisting small and medium-sized enterprises (SMEs) through programs such as TARGET (To Aim and Realize Global Expansion Together). He has worked with the GBC team on several strategic initiatives, which have produced prestigious awards and recognition at both the regional and national levels. Some of these awards include the President’s “E” Award for Export (May 2011) and the Ohio Governor’s Export Award (2005). With nearly fifteen year of experience as an administrator, he has established a rewarding and productive presence in the business community of northeast Ohio. Dr. Javalgi earned his M.S. in Mathematics, M.B.A. and Ph.D. all from the University of Wisconsin-Milwaukee.